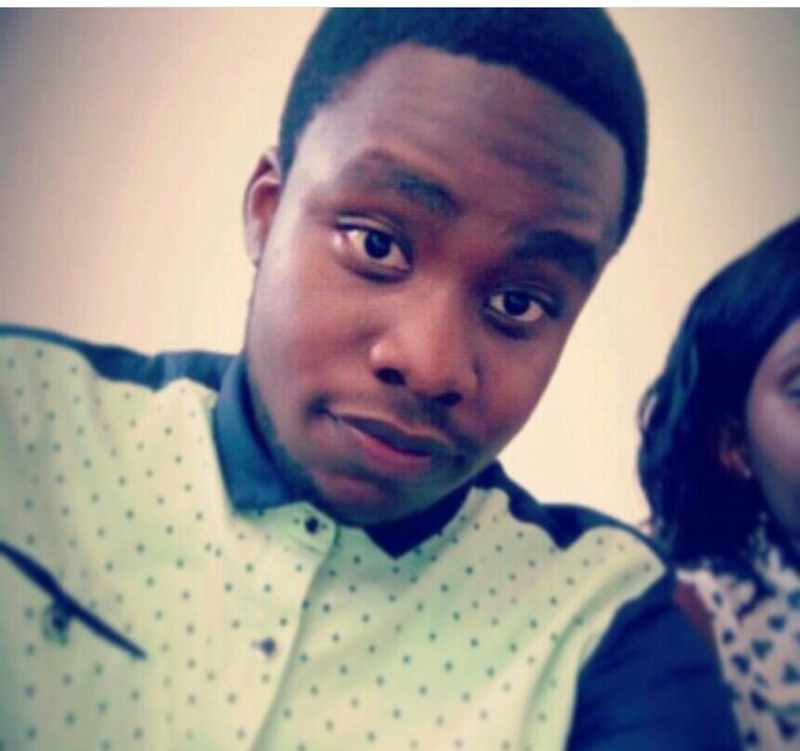 Lists of the self sponsoring students at Makerere were outed last Friday and one of those things that are greatly hunted for in such a time are hostels, that room where you will retire after a long and exhausting day at Campus. Campus Bee took time off to compile for you a list of those hostels and alternative accommodation space that always comes in handy for new students and previously commuting continuing students that may wish for a change of place. Students admitted at Makerere University (MAK) on private sponsorship always get that alternative of booking up places in the University halls, a few bed spaces have been reserved for the new entrants who may wish to be accommodated. These will however have to apply through the Dean Of Students, Room 214, Senate Building only after acquiring your original admission letter and according to Ashiraf a third year student at this university and a resident of Nkuruma hall, a room in the halls goes for 300, 000/= with out meals. “Meals are offered separately in the various food courts at Nkurumah, Mary Stuart, Galloway house and Kabanyolo at a petty charge” – Ashiraf told our writer. The university however grants permission to students who may wish to reside in any of the various hostels around Wandegeya, Kikoni, Makerere among other areas. Below is a summary of the rooms and their specific charges. Those admitted to Makerere University affiliate, (Makerere University Business School – Nakawa) will not have the alternative of residing in University halls but rather in any of the several hostels around Nakawa and Bugolobi. 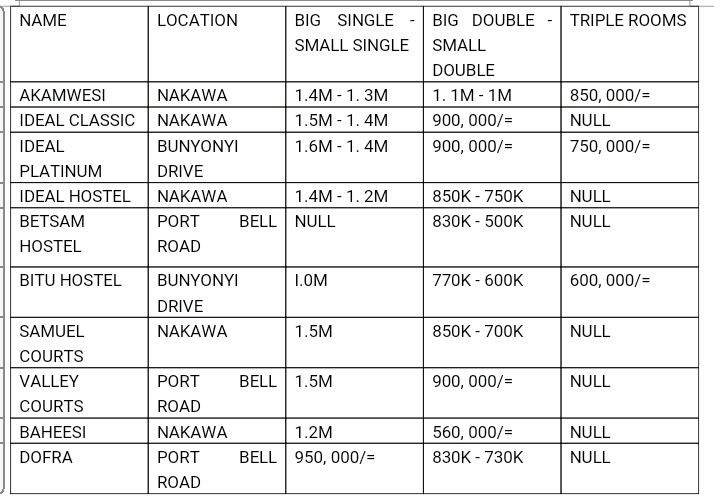 Below is a summary of the popular hostels around MUBS – Nakawa with their charges. There is also an alternative of rentals which comes in handy and rather cheaply for many campus students although they don’t assure your security as a student like a hostel does. Feel free to join our official WhatsApp group and be updated with all the happenings around your university. Send “Add me” to 0788837279, to be added.